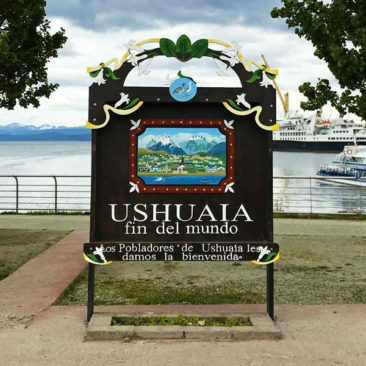 Ushuaia is the southernmost city in the world, a tiny tourist-driven town that welcomes visitors who arrive to explore Tierra del Fuego National Park or quickly depart for lands even further south, as we did when we left for Antarctica. Adam and I left from Buenos Aires on an early flight and spent the duration of our time in the air napping and watching TV shows on our iPad. As our plane started to descend I lifted the window shade and gasped: we were clearly far from our starting point. Jagged, snow-covered peaks jutted upward, piercing the cloudy sky. Glacial lakes and dark green trees dotted the landscape. After a week exploring metropolitan Buenos Aires and Montevideo, the change in scenery was startling-and welcome. 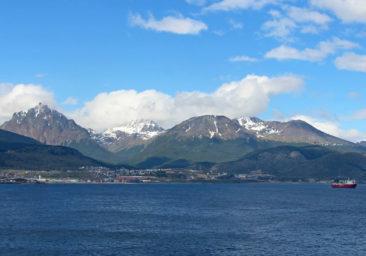 We arrived in Ushuaia the day before our Antarctica cruise with a very loose itinerary. 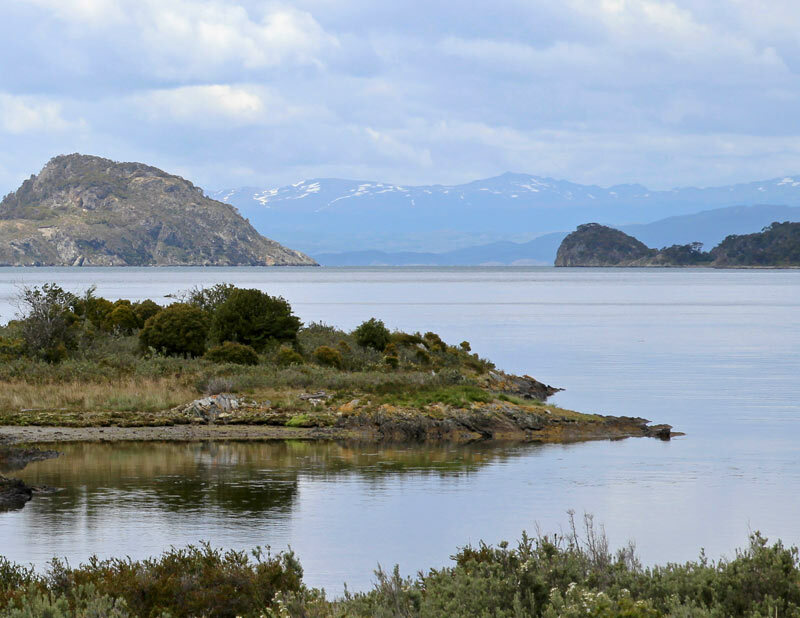 If everything went according to plan, we intended to spend our first day exploring the city and our second day at Tierra del Fuego National Park as long as we could make it back in plenty of time for our transfer to the pier, our embarkation point for our cruise. We intentionally didn’t make firm plans in case something went wrong-a flight delay, bad weather, or another circumstance that might make hiking or even window shopping undesirable or potentially impossible. We ended up with luck on our side; our flight arrived on time, our hotel transfer was waiting for us after we collected our luggage from baggage claim, and by early afternoon we were settled into our hotel and ready to see what Ushuaia had to offer. 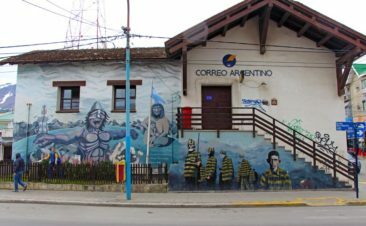 If your travel plans will take you to or through Ushuaia or Patagonia, there’s a lot to love about the remote city that’s becoming an important destination for travelers from all over the world. There is really just one good option for getting to Ushuaia, and that is to fly. Ushuaia is situated on an island not connected to the Argentine mainland, so visiting won’t just make you feel like you’re far from the rest of the world: you really will be far away. 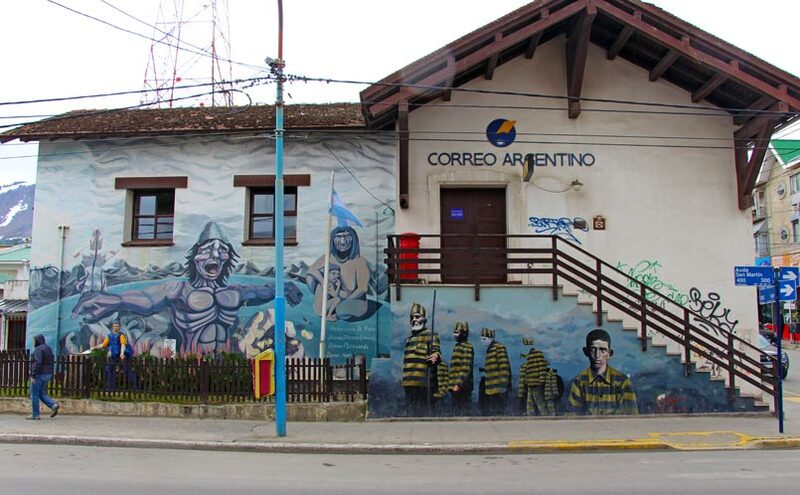 There are really only two airlines that serve Malvinas Argentinas International Airport: Aerolineas Argentinas and LATAM, although a handful of other airlines have offered seasonal charter flights. Most flights will connect through Buenos Aires or another Argentine city, and LATAM has a few flights a week to Punta Arenas, Chile. 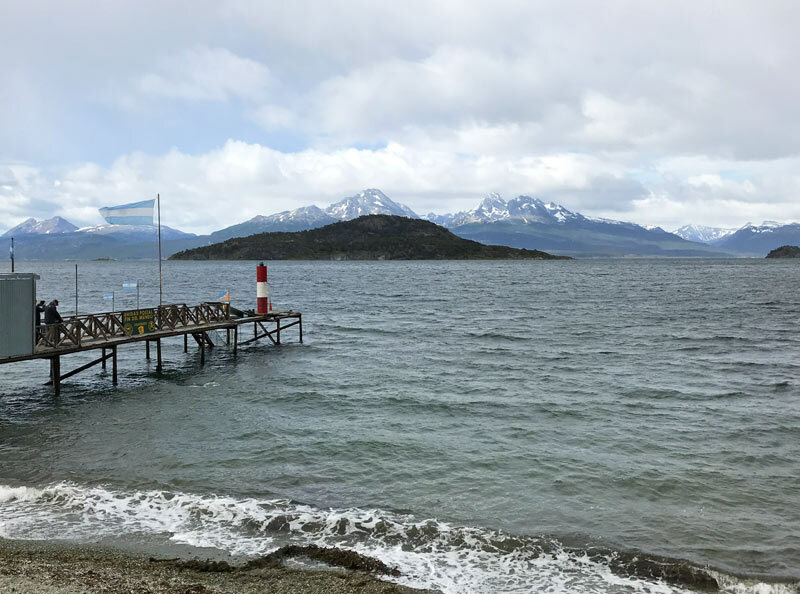 Bus service can take you all the way to Buenos Aires, but it’s a long trip that involves crossing into—and then out of—Chile on a ferry, and border or ferry delays can significantly lengthen an already time-consuming journey. 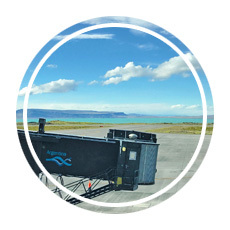 Flying is certainly the best option, but we’ll share a very strong word of caution about booking your flights: with just a few flights arriving at and departing from the airport each day, even during the high season, a delay of any kind can leave you stranded in Ushuaia for an indefinite amount of time. 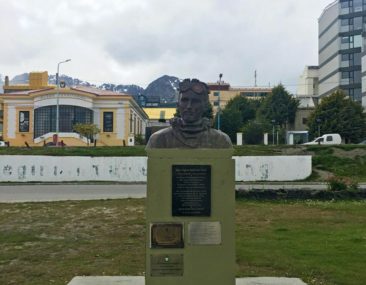 We learned this lesson the hard way, when an airline strike grounded every plane in Argentina and cancelled flights for tens of thousands of people, including everyone trying to get home from our Antarctica cruise. 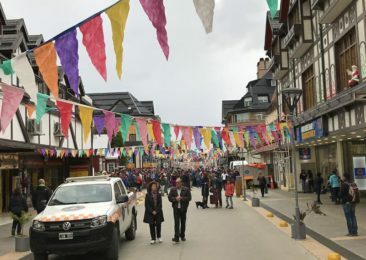 Because flights are often completely full, some people spent more than a week in Ushuaia as they tried to find a seat on a plane—any plane—leaving the city. Combined with standard problems like mechanical issues or weather delays, and coupled with the lack of ground transportation options, we strongly recommend arriving in Ushuaia a few days early and having flexible plans after your intended departure. 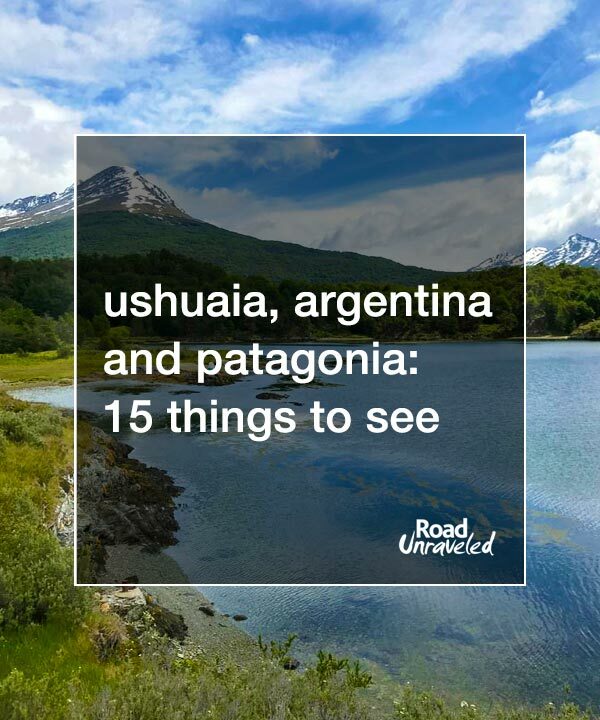 We shared the details of our Fin del Mundo horror story in separate post, but the more flexibility you can add into your travel and the more informed you are about your options, the better off you will be if you find yourself with extra time to spend in Ushuaia. 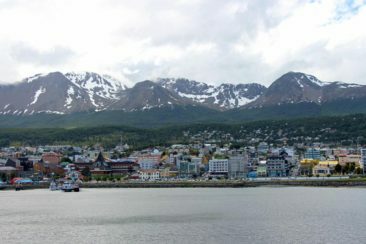 Ushuaia is a lovely, small city with a pretty contained downtown area that is well-served by taxis. Taxis are inexpensive (and cash only!) and like in Buenos Aires it is smart to look for radio taxis, which are clearly labeled and will be able to provide printed receipts upon request. A taxi from the airport to the downtown area was about 160 pesos (8 USD) for a 15-minute ride. Once in Ushuaia, walking is a great idea, as many hotels, restaurants, and entertainment options are within a few blocks of each other. 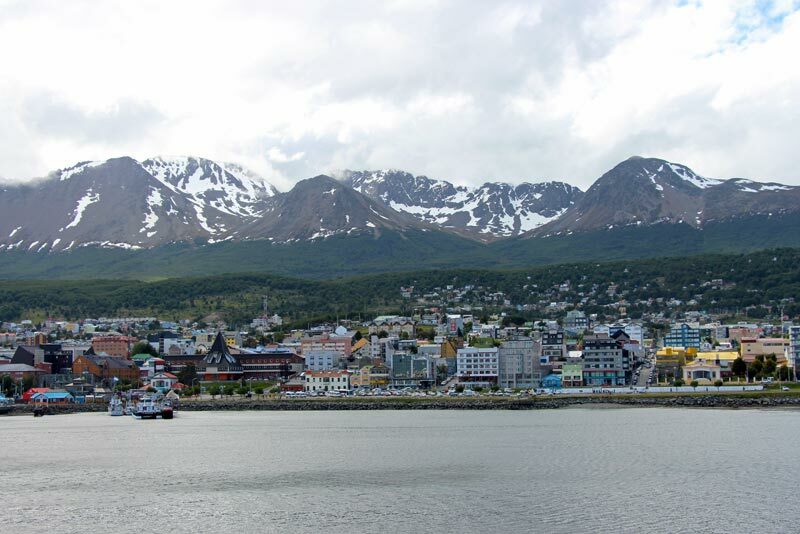 Ushuaia does have some very steep hills, though, so be prepared to get some exercise if you choose to walk. 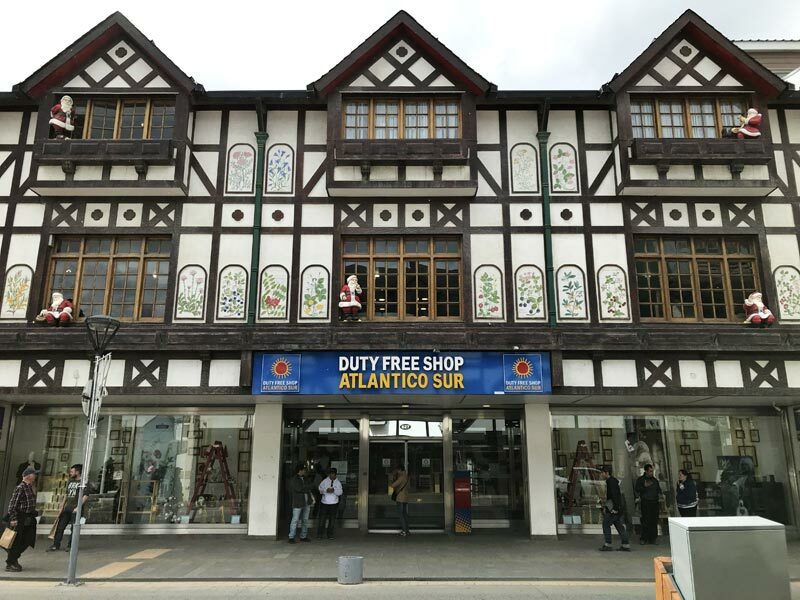 Many of the side streets between the waterfront and the main shopping street have staircases, and we didn’t find the walk to be strenuous—although if you have mobility concerns, taxis are certainly easy to find! As soon as we secured our luggage in our hotel room on our first day in Ushuaia, we immediately walked down to the waterfront to take a photo with the End of the World sign. Ushuaia is affectionately known as the end of the world-el fin del mundo-because of its geographical location as the southernmost city, and a popular way to commemorate your visit is to pose for a picture with the sign right by the waterfront. It’s also a pretty popular place to greet other travelers from around the world. We chatted for a few moments with a group of people who had just returned from Antarctica and were getting ready to return to Michigan, and we encountered another group who booked the same cruise we did. It was a fun first stop to make, especially before our Antarctica departure! If you need some insight into how to best spend your time in Ushuaia-especially if your time is limited-the Visitors Center is a great place to stop. It’s very close to the End of the World sign, and you’ll find a lot of information about tours and museums available during your visit. As a nice bonus, the staff will stamp your passport with the Fin del Mundo stamp if you ask them. 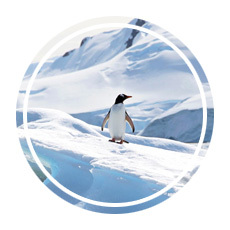 They also have an Antarctica stamp, and if your cruise doesn’t make it to Port Lockroy for the highly-desired Antarctica stamp the visitors center stamp can be a nice alternative. If you are in the market for some fun vacation souvenirs, you will have plenty of options in Ushuaia. We spent some time at Monte Olivia, which is a large shop that sells just about everything. Double check your items before you make your purchase, though; not everything is high quality, and we found some misspellings on a few postcards we looked at. We really liked Boutique del Libro, a great bookstore that has books in English as well as some fun gifts. If you are interested in learning more about Ushuaia’s history, the Museo del Fin del Mundo has a nice collection to browse. 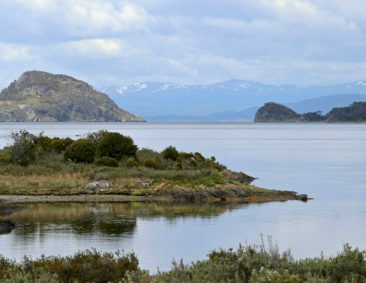 They have quite a bit of information on the animals and birds native to Ushuaia, artifacts from famous shipwrecks, and a food exhibit. It’s a small museum, though, so don’t expect to spend a lot of time there—30-45 minutes will be plenty to see what they have. If you have a lot of time on your hands and aren’t planning to leave the downtown area, the Maritime and Prison museums might be your best option. The prison museum shares a look at life in one of the world’s coldest, most remote prisons, which bears some resemblance (especially with the hub-and-spoke structure) to the Eastern State Penitentiary in Philadelphia. Admission also connects you to the marine museum, which includes an art gallery. 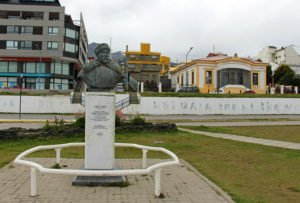 The admission fee includes both museums (as well as the Antarctic Museum), but it’s comparatively steep at 400 pesos (about 20 USD). That said, you can easily spend a couple of hours looking through the many exhibits, so it could be a cost-effective choice if you want to learn more about some very specific parts of the city’s history. 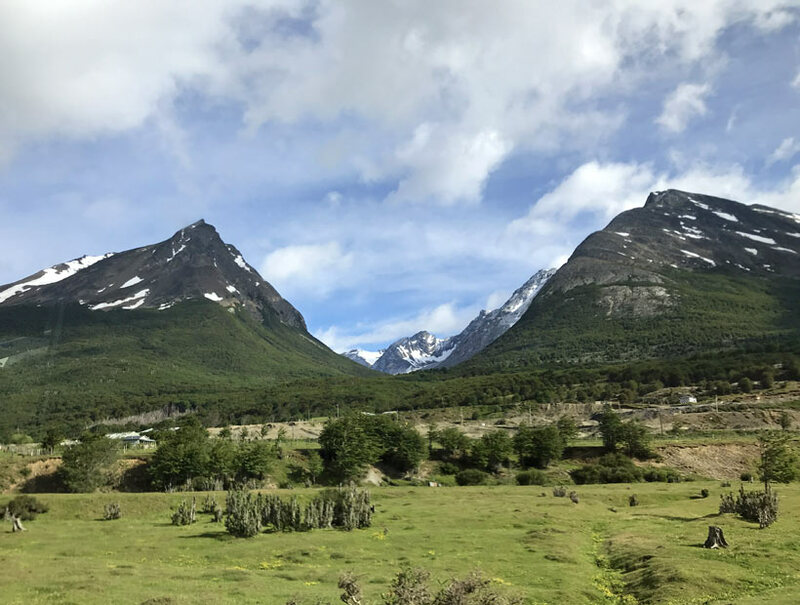 If you aren’t going to Antarctica, Tierra del Fuego National Park in the Patagonia region of Argentina is more than likely your reason for visiting Ushuaia. 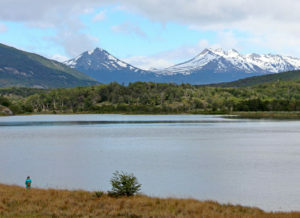 Tierra del Fuego got its name from the first European explorers who found their way to the southernmost tip of South America. When they saw campfires tended by native inhabitants, they named it Tierra del Fuego, or the Land of Fire. Visiting the park is an incredible experience in any season, although summer is decidedly easiest. Tierra del Fuego does not have a dry season, so visitors can expect almost any weather conditions at any time-we encountered a bit of rain, some sun, and plenty of wind in the four hours we spent there. 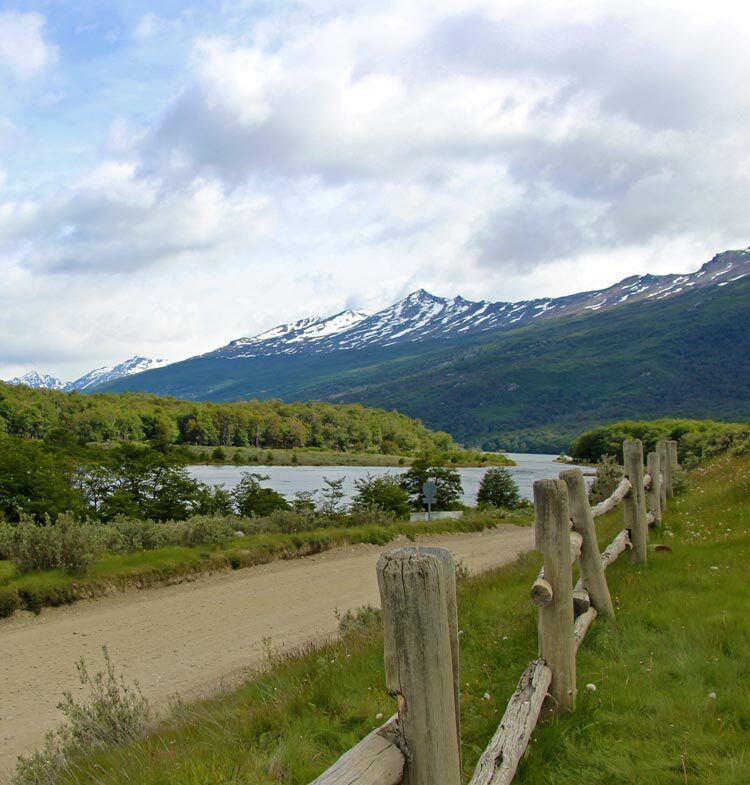 There are two ways to get to Tierra del Fuego: take a taxi on your own or take a tour. We would have preferred to spend an entire day visiting on our own, but we ended up booking a bus tour instead. The reason we made that decision is because we were a bit risk-adverse at that stage of our trip; taking a taxi there would have been easy, but we weren’t sure how easy—or quick—it would be to find a taxi to return to our hotel. 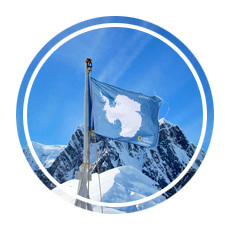 Because we didn’t want an unexpected delay to keep us from making our cruise, we took the easy way out by booking a half day tour with Rumbo Sur, a company that contracts with Quark Expeditions to handle logistics and provide optional tour opportunities for cruise guests. We were able to purchase our tour during our transfer from the airport to our hotel, and the following morning we were promptly picked up in our hotel lobby and returned two hours before our departure from the pier. Although we didn’t get a chance to explore the park on our own, it was better than not going at all, and we ended up enjoying the guided hike and tour that helped us understand the areas we visited. Visiting Tierra del Fuego will take you to the very end of Argentina’s Route 3, which runs all the way to Buenos Aires. 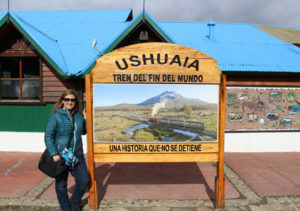 Our tour stopped at the train station where the tourist-friendly “end of the world train” runs to the park entrance. Adam and I skipped the train ride, staying on the bus instead, because tickets are expensive for a 50-minute ride, and fellow travelers had mixed reviews on whether it was really worth the extra price. 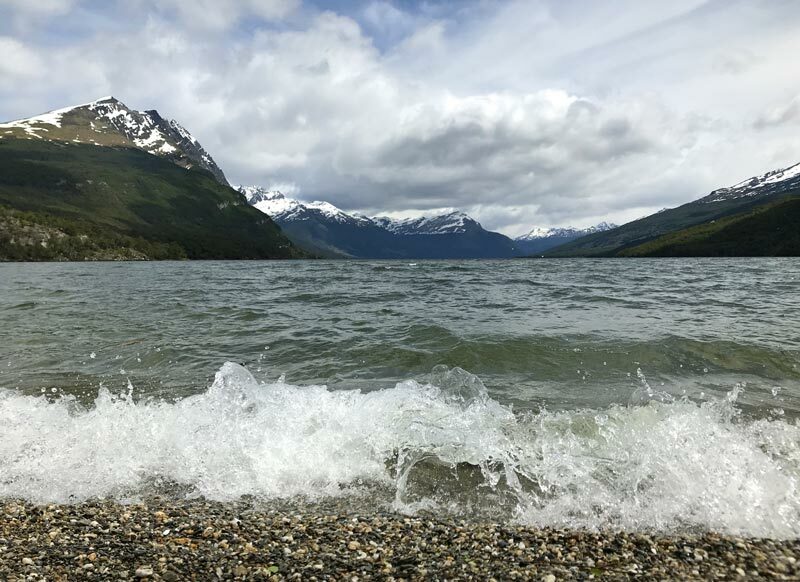 The real tour started at Lago Roca, Rock Lake, where we enjoyed a 30-minute hike that wasn’t strenuous but did provide beautiful panoramic views of the glacial lake. We stopped for more pictures and a quick snack break at Alakush Visitors Center, which had a nice lake view that attracted our attention over the amenities inside. 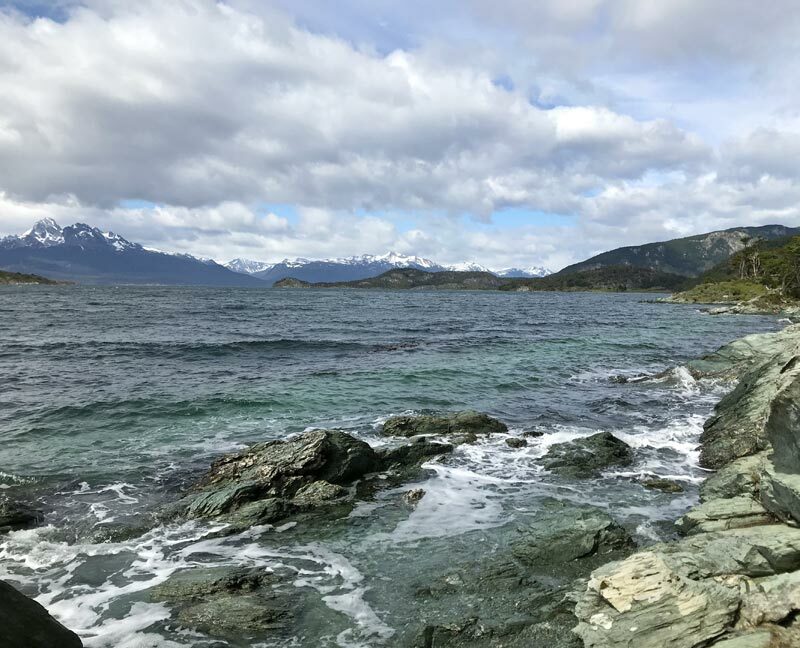 We also visited Lapataia Bay, at the end of the Beagle Channel, which was great for some last-minute pictures before we returned back to Ushuaia. 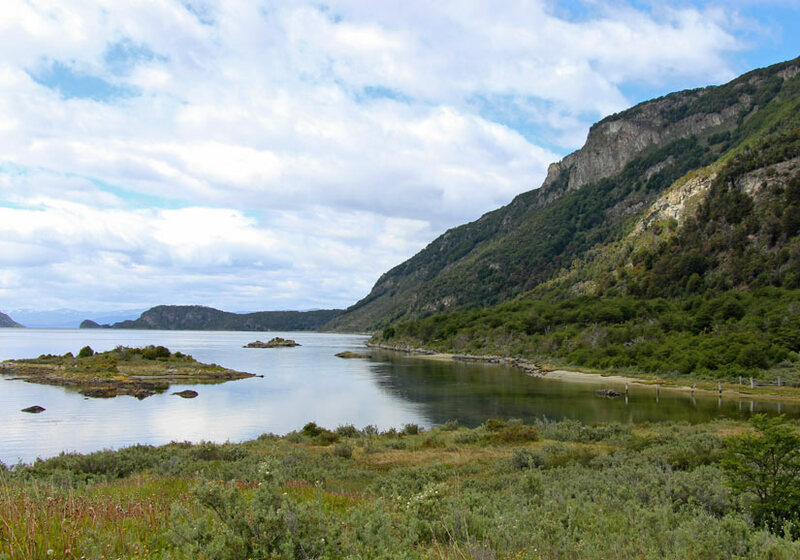 It would be easy to spend a lot longer than we did, especially if Tierra del Fuego is your intended destination. 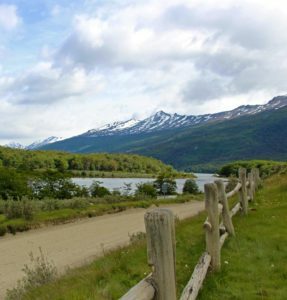 Camping, dozens of hiking trails, and some incredible bird watching are all popular activities, and it would be worthwhile to extend your visit if time allows. For us, we were just happy to have the chance to visit at all, especially because we arrived without a confirmed tour and with reasonable doubt as to whether our schedule would be flexible enough to accommodate a stop there. If another visit is in our future we would probably go without a tour, but for an initial visit it’s a great idea to book a tour with a knowledgeable guide capable of sharing the history and importance of the park to really provide some perspective to your visit. 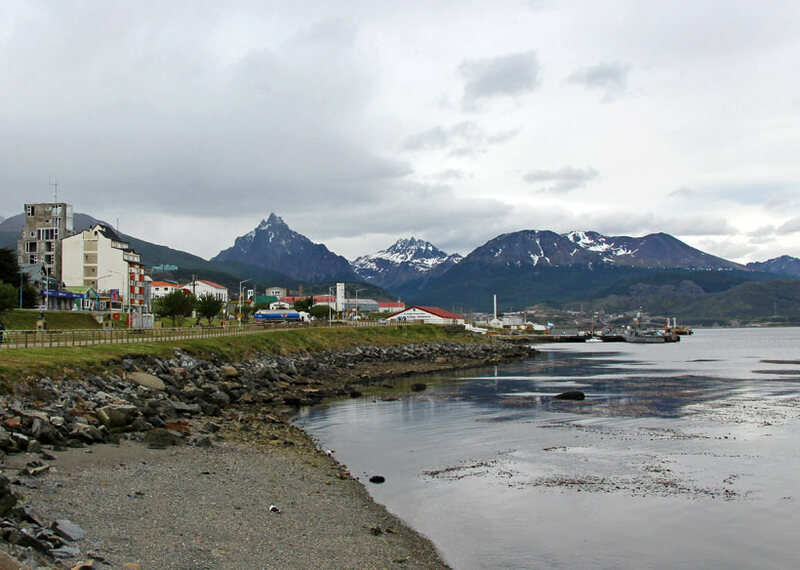 We ended up with a bit more time on our hands than expected when we visited Ushuaia. Here are a few of the restaurants we discovered. We stopped in for dinner the night before we left for Antarctica, and we enjoyed our meals. We split nachos to start, Adam had a chivito (the sandwich he discovered in Montevideo), and I had a salmon wrap. Service was a bit slow, but the food was really tasty and we had plenty of time to relax, so we didn’t mind. Tante Sara is right on the main shopping street, so it’s easy to find and is a nice place to take a break from wandering through the city. 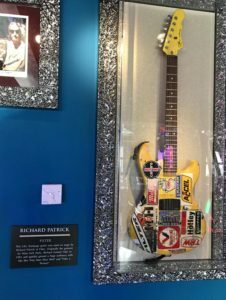 Typically, I avoid places like the Hard Rock when we travel in favor of more local cuisine, but we went there twice during our unexpected stay when our flight home was cancelled. The staff was really welcoming, and there was just something about sitting at a table, looking through a menu just like the ones we have seen around the world, that made us feel a little closer to home. If, like us, you find your stay at the end of the world extends longer than you planned, the Hard Rock is a great place to order a drink and regroup. As a really fun personal note, Adam’s friend Richard Patrick (from the band Filter) has his guitar on display there: walk up to the second floor to see it! Somehow, one of our favorite meals was at a tiny pizza restaurant we walked into because our first choice was closed. BarDpizzas had tons of options for toppings, and they had a decent beer and wine list as well. The ham and caramelized onion pizza was a hit for many people at the table, and the classic napolitana was another favorite. We ended up eating at Andino twice, trying both pastas and sandwiches since each time we visited we were in a bit of a rush. The quality of the food was pretty good; not as great as BarDpizzas or Tante Sara, but we appreciated that the menu was pretty diverse, and it would be a great option for a larger group trying to cater to many different tastes. We had a night at the Hotel Albatross included with our cruise, so we didn’t pick this particular hotel, although we were happy enough with it. The rooms were somewhat outdated, the bathroom was really small, and the rooms got very warm very quickly (not a surprise since air conditioning is not common in Ushuaia). However, wifi was free for guests, and they provided us with a nice continental breakfast in the morning. The Hotel Albatross also has a spa, so it’s considered a luxury hotel in Ushuaia. 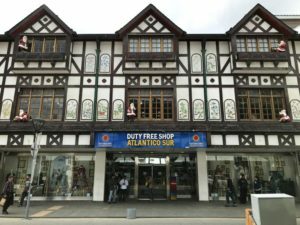 It has a nice location between the main shopping street and the waterfront, so it’s a great launching point into the city. 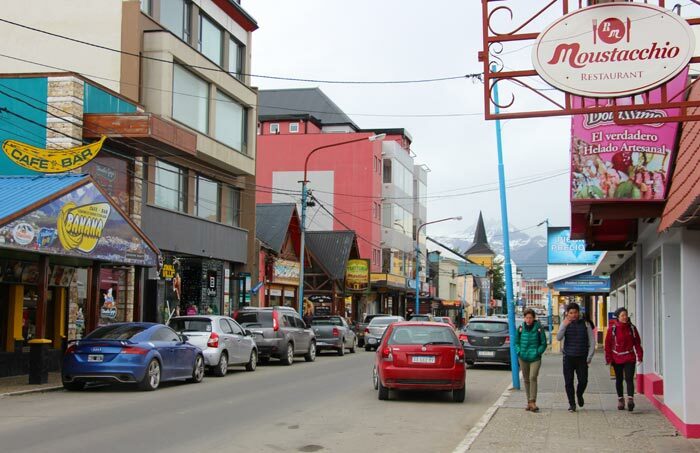 We picked Mil810 on the first night of our extended stay in Ushuaia. It’s a lovely, modern hotel with kind staff and big, comfortable rooms. We spent little time there because we got up early to go to the airport and join the standby list for flights departing that day (and no, we did not succeed), but we were happy with our stay. When we realized we were going to be stuck in Ushuaia for at least another night we didn’t return, though, only because the hotel is slightly removed from the main points of interest, and we decided to try a hotel a little closer to the action. Our final stop in our tour of Ushuaia hotels was the Lennox Hotel, by far our favorite. Right on the main street, we had a huge room with a great bathroom, a wonderfully comfortable bed, and fast, free wifi. Restaurants and entertainment were mere feet from the hotel lobby, but the room was really quiet, so we were well-rested for our triumphant return to the airport when we finally got on a plane headed north. The Lennox was well-priced, and despite booking at the last minute we got a good deal on our room. 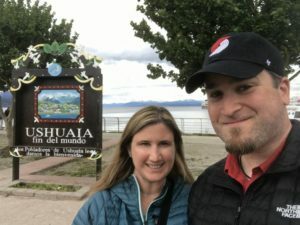 Ushuaia is a very remote part of the world, and as we learned when we were stranded there for a few days it can be difficult to get out if your flight is cancelled. 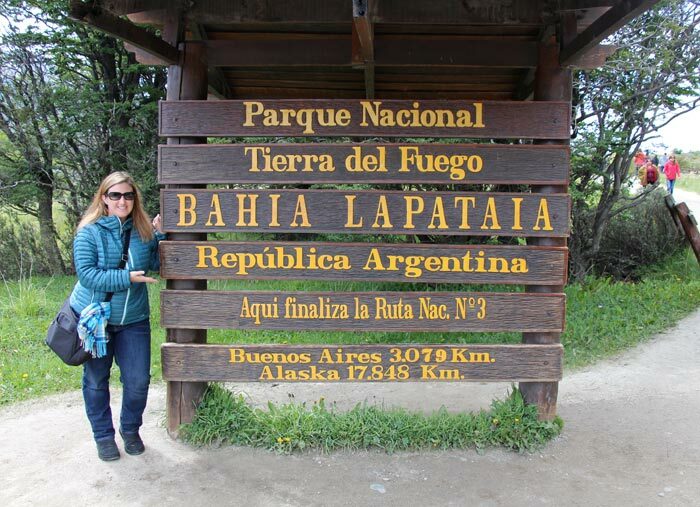 We were beyond grateful we purchased travel insurance for our trip to the End of the World! We selected a policy from World Nomads, and it’s a good idea to research available plans and pick the one that’s right for your trip before you go. 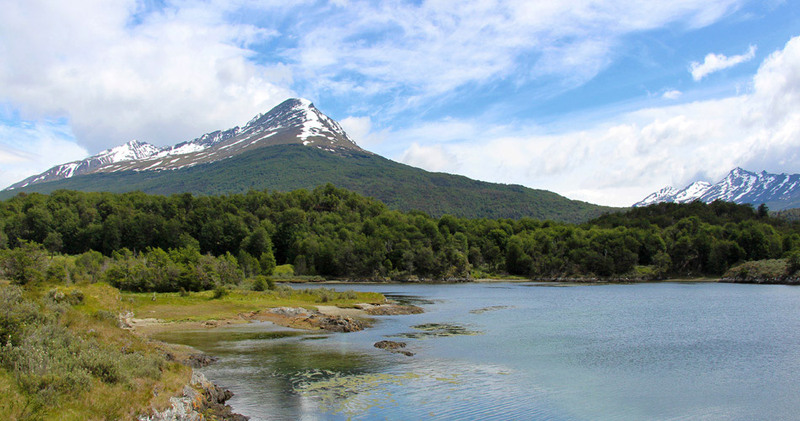 Although Ushuaia and Patagonia are popular as jumping-off points for Antarctica, the area is a worthy destination in its own right. Take some time to research and explore what the small town offers before booking your flights and enjoy discovering how life is lived at the end of the world! It’s a long way to Alaska! 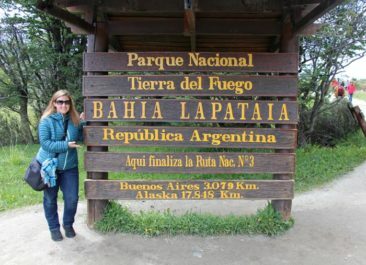 If your travels will take you to southern Argentina, don’t miss these related posts!